Elote is the Mexican-style corn on the cob that's popular in the streets of Mexico! We're pairing our version with a delicious black bean-avocado salsa, with homemade tortilla chips to scoop it up. Preheat the oven to 400°F (to bake the tortillas). Start prepping when the oven comes up to temperature! Meanwhile, cut the tomato into 1/2-inch pieces. Mince or grate the garlic. Roughly chop the cilantro. Zest, then juice the limes. Drain and rinse the beans. 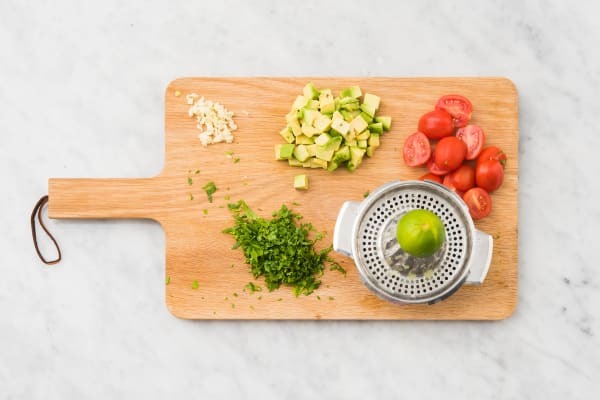 Halve, pit and cut the avocado into ½-inch cubes. When the tortillas are done, transfer them to a plate. Turn on the oven broiler. Brush the corn with a drizzle of oil. 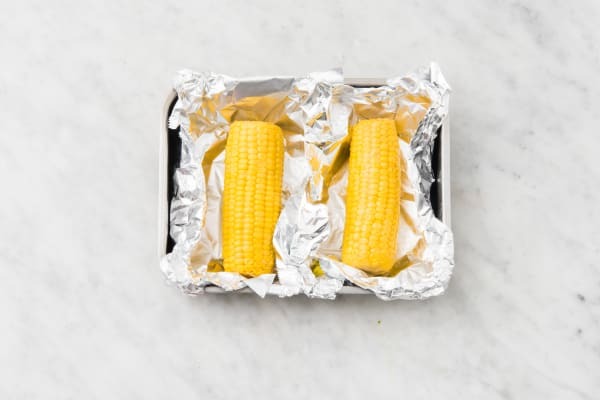 Partially wrap each corn with foil, exposing the top. 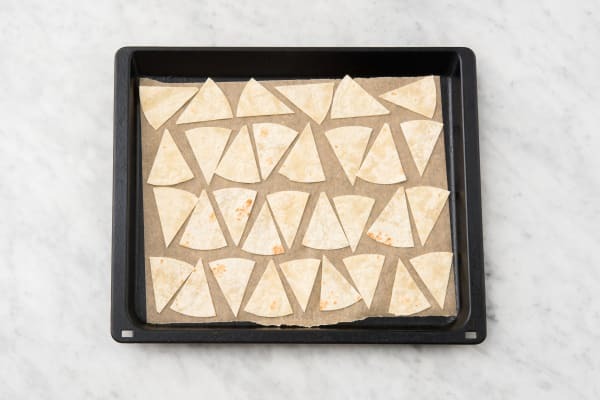 Arrange on the same baking sheet. Broil on the top-third rack of the oven, turning the corn over halfway through cooking, until golden-brown, 10-12 min. (TIP: Keep an eye on the corn so that it does not burn!) Transfer the corn to a large bowl and cover with foil. Meanwhile, in a medium bowl, whisk the lime juice, lime zest and honey with a drizzle of oil. Season with salt and pepper. 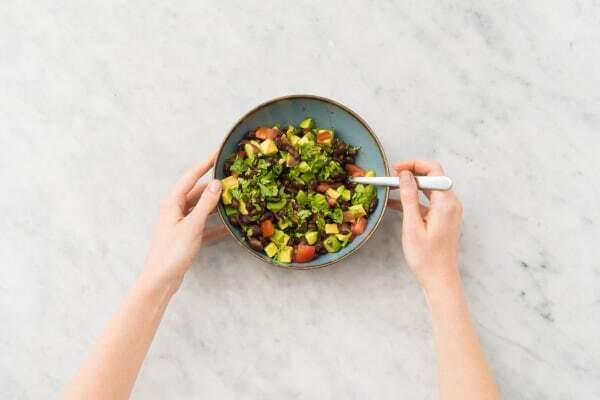 Stir in the avocado, tomatoes and black beans. Sprinkle with half the cilantro. 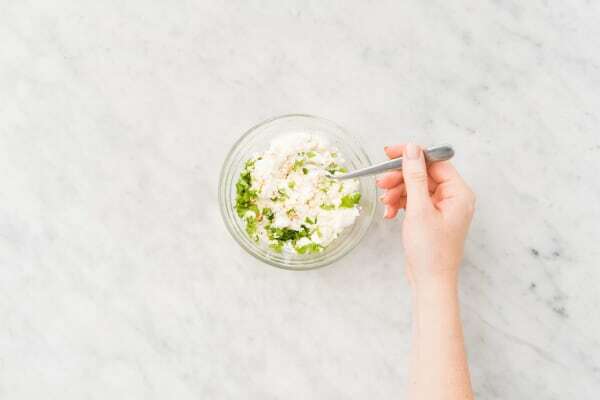 In a small bowl, combine the mayonnaise, sour cream, garlic, half the feta, remaining chili powder and remaining cilantro. 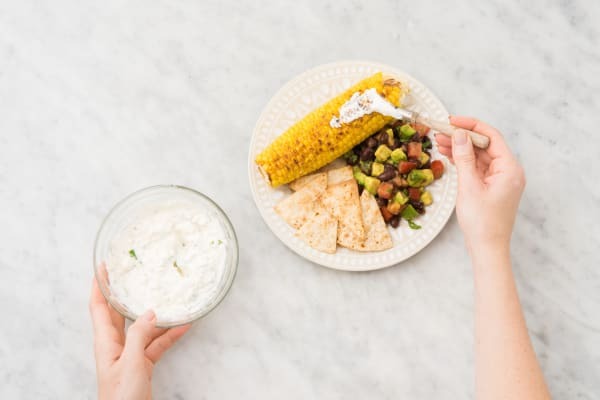 Brush the sour cream mixture over the corn and sprinkle with remaining feta. 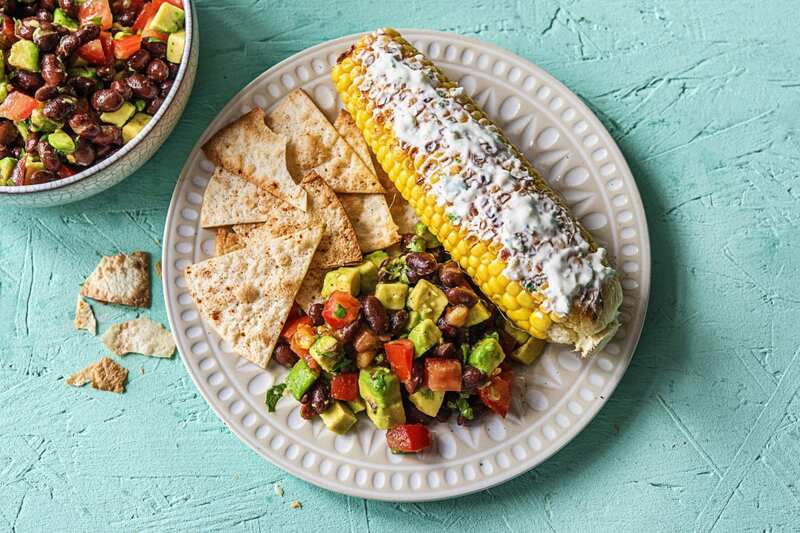 Divide the avocado-black bean salsa between plates and serve with a side of tortilla chips and Mexican street corn.